Your taste buds will smile with all the different flavors in this baby kale salad. While at the Orillia market a few Saturday's ago, I discovered Yummies in a Jar. Tropical Summer is the vinaigrette I used for this particular salad. The ingredients that go into this include; peaches, cherries, kiwi, papaya, grapefruit, and lemon. It is oil free and tastes delicious. If you live in the Orillia area you can find the Yummies in a Jar products at Apple Annies, or visit their store in Baysville. 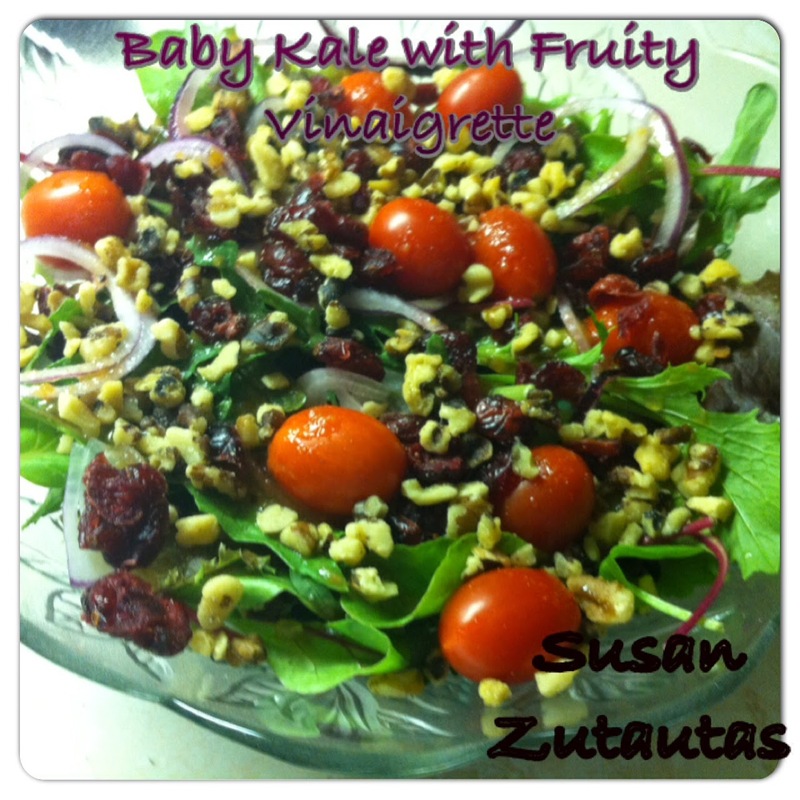 Start with your baby kale mix in the bottom of a salad bowl. Next add the thinly sliced red onion and grape tomatoes. Add about one - two tablespoons of the Tropical Summer vinaigrette tossing gently. Add the cranberries and walnuts.